NEW YORK CITY — The dust had barely settled after last weekend’s U.S.-led bombing of Syria before a split in the political class developed. While some Beltway figures, media personalities and former officials hailed the bombings, others decried the “limited” nature of the airstrikes. Democracy Now! 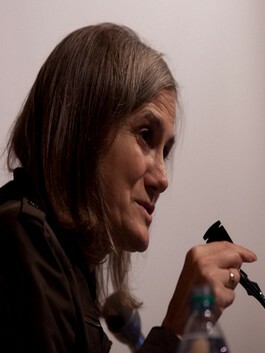 host and producer, Amy Goodman. Democracy Now!, the daily hour-long news show hosted by Amy Goodman and Juan Gonzalez, has long been the flagship institution for U.S. progressives. With its jaunty 90s opening theme, timely coverage of world events, liberal (maybe radical-liberal) take on global affairs, and impressive range of top-tier guests including authors, government officials, policy experts and activists, the syndicated program is seen as an exemplary display of independent journalism. No doubt, the New York-based show is in a class of its own when compared to the vapidity and sensationalism of shock-jock right-wing radio or smug, Beltway liberalism of Randi Rhodes, Thom Hartmann or Cenk Uygur. Like a gust of oxygen in the choking smog of AC360-Maddow infotainment, Amy Goodman resembles an enlightened aunt at a Fourth of July party — a female version of Ira Glass who brings a kale, cauliflower, almond cheese and cumin-spiced casserole to the potluck while discussing difficult topics in an unshakeably calm, Zen-like manner. Despite its reputation as a standard-bearer for left-of-center “alternative media,” Democracy Now isn’t immune to the pressures of U.S. politics: sometimes the Battle of Seattle veterans canvas their suburbs for Barack Obama; sometimes Michael Moore or Noam Chomsky get out the vote for Hillary. Case-in-point: Syria. Since the country plunged into the depths of withering all-sided conflict and proxy war pitting the government of Bashar al-Assad against a range of opposition groups – from Gulf Arab-funded jihadists to Western-funded secular armies, with few independent players in between – the program regularly features interviews with activists who feel that Washington can play a progressive role for the people of the region through the deployment of the U.S. Armed Forces, covert aid to factions on the ground, and the routine violation of international legal norms such as the United Nations Charter. Democracy Now generally isn’t a Pentagon mouthpiece; a large portion of its coverage does consist of decent progressive journalism. Yet interspersed throughout programming covering genuine popular movements, we find narratives covering the left flank of U.S. imperialism, normalizing the use of U.S. military force for ostensibly “humanitarian” purposes. In the course of the last week — since Syria came under cruise missile attack by the trilateral U.S.-U.K.-France alliance — Democracy Now has featured two interviews with activists who unabashedly call for the Pentagon to use military measures against the Syrian government for the sake of easing the Syrian people’s pain. Their arguments resemble the line of Sen. Robert Menendez (D-NJ), who questioned whether the bombings were the result of a White House “choreographed Kabuki show” with their Russian counterparts rather than the Cuban Missile Crisis-style showdown which seemed apparent prior to the strikes. Noting that the U.S., since Obama, has offered verbal support to the “Syrian people’s revolution” while acting in a manner that “strengthened the regime,” Kudaimi accused the Trump administration of continuing to not go far enough in ensuring regime change. Meanwhile, she accused the antiwar left of offering uncritical support to the Bush-style “War on Terror” being waged by what she depicts as the virtually united forces of Syria, Iran, Russia, and the U.S.-led coalition of Western powers and Kurdish-led Syrian Democratic Forces. Neither guest mentioned the significant proportion of “regime supporters” who reside in Syria, or the need for a resumption of negotiations between beleaguered opposition forces, the government and the various powers who are militarily involved in the conflict. These are far from the first occasions that Democracy Now’s guests, like the New York City-based Democratic socialists of Jacobin magazine, have propagated a line favoring humanitarian intervention in Syria. Past interviewees and headline readouts enthusiastically supported the NATO-backed uprising in Libya against the government of Muammar Gaddafi as well, regularly citing the inflated figures of government-caused deaths published by Human Rights Watch and Amnesty International. A denunciation of war crimes and indiscriminate bombings by the Syrian Arab Army or Russian Aerospace Forces — be it through hypersonic missile, artillery shell, barrel bomb, chemical warfare, etc. — is hardly our point of dispute. Nor is earnest solidarity with any people suffering at the hands of a state that disregards or does damage to their life-or-death interests. Yet the position that any resistance to a reassertion of U.S. or European hegemony in Syria is a product of “fake news” indoctrination or a “pro-fascist anti-imperialism of idiots” — as Leila Al Shami argued in a widely-shared blog post — woefully misses the mark and cynically equates principled opponents of imperialist war with reactionary misanthropes on the far right. To assert that Washington, London or Paris can act as guarantors of human rights or allies of the Syrian people is not only criminally naive, it provides ammunition to ideological fusillades aiming far higher than the low-hanging fruit of the Ba’athist regime alone. For Washington and its European allies, as well as its junior partners in the region, Damascus is simply a pit-stop on the road to Tehran (and possibly Moscow) — a means by which so-called “Iranian imperialism” and the aims of rival powers can be thwarted, allowing hegemonic powers led by the U.S. to continue a policy of global conquest stretching from the Caribbean through the Mediterranean to the Sea of China. 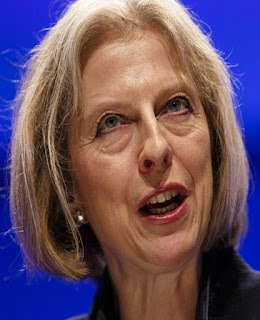 The assertion that the war-stricken Assad regime is uniquely fascistic — unlike the region’s dynastic/sectarian, Zionist, militarist, or neo-Ottoman regimes — illustrates a selective indignation which dangerously feeds illusions that unlawful wars waged by top-tier Western powers to effect regime change will improve the lives of the most oppressed groups in the region and meet their need for a just peace. In what country, on what planet, do such precedents exist? Let’s provide a reminder of these actors’ regional deeds in the past century: two world wars, Sykes-Picot, the partition plan, the War on Terror, police-state fascism, Wahhabist despotism, the shredding of the Middle East’s social fabric, and so forth. Doesn’t this offer at least a bit of proof that imperialism, neocolonialism, the military-industrial complex and the finance oligarchy at its helm aren’t in the least bit concerned about advancing human rights, democracy, peace and social justice in the region? Endless warfare — endless disorientation? 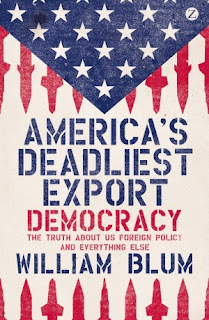 Throughout the late 20th century but especially since the end of the Cold War, the United States arrogated to itself the right of aggressive military intervention across the globe on various pretenses. From Yugoslavia to Afghanistan, across Africa and the Middle East — Iraq, Libya, Sudan, Syria, Yemen — the U.S. cited a combination of national security concerns like terrorism and human-rights crimes to justify a total disregard for international law and consensus, not to mention the subsequent war crimes its military carried out in the course of “humanitarian” warfare. While the U.K.’s successive governments have eagerly played the “poodle” role in support of Washington’s military adventures, the British people still maintain a vibrant anti-war movement. 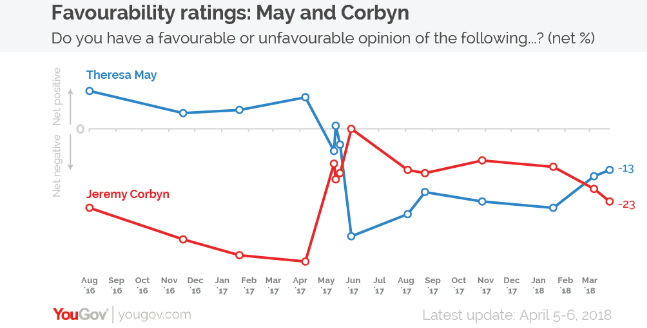 Anti-war and even anti-imperialist voices are frequently heard in the media, while Jeremy Corbyn’s left-wing faction of the Labour Party has waged a stiff opposition to Tory Prime Minister Theresa May’s eagerness to participate in attacks on Syria. 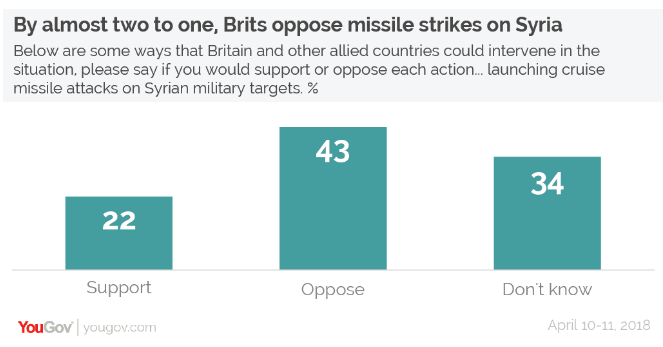 As a result, only 28 percent of the British public supported May’s “commitment to combat” Syria while 36 percent opposed it, according to a poll by The Independent. 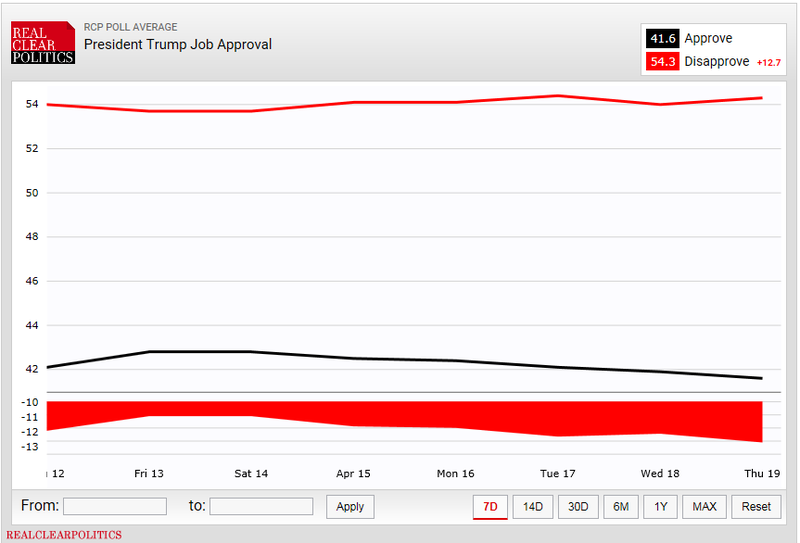 – 58 percent – supported such missile strikes. The U.S. anti-war movement stagnated prior to the dusk of the George W. Bush administration and the onset of 2008’s election season, due in no small part to inroads by the Democratic Party and sectarian infighting by dominant leftist groups. In anticipation of the election of Barack Obama, the movement and its peace parades simply ground to a halt. This grim state of affairs — ideological confusion, misplaced hopes, demoralization, disintegration — gives us ample cause to criticize the humanitarian window-of a center-left that’s now been housebroken, domesticated and rendered oblivious to the main enemy at home: U.S. imperialism. The rise and fall of popular left-wing currents — anti-war movements, militant workers’ struggles, and Black, Native American, Puerto Rican and Latin American immigrant liberation struggles — has followed predictable trends: there is the violent counter-insurgency conducted by a reinvigorated repressive state apparatus, white nationalist vigilantes, and other far-right groupings; and then there’s the low-intensity counterinsurgency conducted through the ideological state apparatus of media and academia; the formation of new electoral alliances and installation of minority “faces in the right places” of power; as well as the key factor, which is the co-option of movement figures by non-profit foundations backed by major capitalist philanthropic figures. 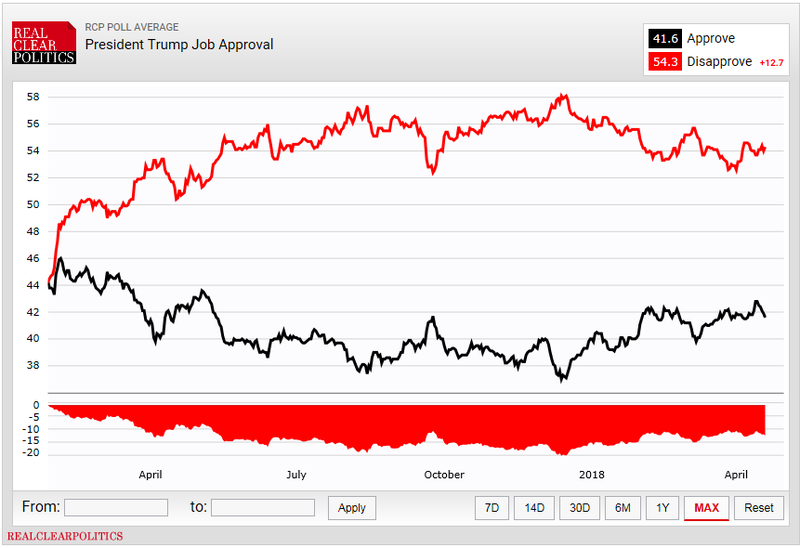 While open repression – the iron fist – tends to radicalize movements and galvanize popular support for them, the persuasive approach of the “velvet glove” forms a much more effective, less explosive and more demilitarized way of neutralizing mass opposition — transforming the revolutionary into the reformist, the radical into the tame, and the left to the centrist. Much has been made of the role of figures like Hungarian-born billionaire George Soros and his Open Society Foundations, whose proclaimed mission is to protect dissent and “build vibrant and tolerant democracies” through philanthropic grants that ostensibly serve oppressed or marginalized communities. Much of the critique can veer toward the conspiratorial, or exaggerates his role as some all-powerful impresario of the global left. Yet Soros is a major activist financier both abroad and at home, one of many players invested in what’s been called the “Non-Profit Industrial Complex” or NPIC, which comprises a complex web of relations between local and federal governments, the capitalist class, philanthropic foundations, NGO/non-profit social-service and social-justice organizations. The Lannan Foundation gave Democracy Now an additional 375,000 USD packaged in a number of grants, according to the foundation’s IRS 990 forms since 2008. Patrick Lannan, the capitalist mogul who founded the organization, sat on the board of ITT corporation in the late 70s and early 80s. The ITT corporation was instrumental in the CIA-backed fascist coup that overthrew the democratically elected socialist Salvador Allende in 1973. The compromised nature of Democracy Now doesn’t render it entirely useless for genuine anti-imperialists and listeners opposed to war, be they “humanitarian” or not. Strong critical voices are often heard on Democracy Now – as may be the case on CBS, NBC, BBC, Al Jazeera, RT, MintPress News, PressTV, even maybe once in a blue moon on Fox News or CNBC. When looking at any of these organizations we need to remain critical of the banalities they may spew such as a liberal-versus-conservative paradigm that upholds systems of power like global monopoly capitalism (imperialism), despite distracting debates over the finer points of how the system is upheld – is it for a more “humanitarian” world order, a more “secure” one? All of us have a duty – as media producers and media consumers – to look beyond the rhetoric of social justice deployed by center-left establishment figures, and instead see the structures and principles they both depend on and uphold. “Fake News” in terms of bias, propaganda and lie by omission is unavoidable, but the key question remains “cui bono?” – who benefits from the propagation of this narrative? In the case of Democracy Now!, we have incorporated non-profit 501(c)3s and big Wall Street money underwriting the ostensibly “independent” and alternative media. As usual, we should remain on guard. The “war and peace report,” as progressive as it may often sound, has long ceased to be a purely listener-supported project, and this lack of economic independence has spilled into its politics. The clearest sign of that is an implicit support, especially in the Arab Spring era, of imperialist wars on “authoritarian” regimes who find themselves in the crosshairs of the U.S. government. Palestinians in Gaza continued their Great March of Return, organizing mass protests every Friday against the Israeli siege and occupation of the Gaza Strip. On Friday, Israeli forces shot and killed two unarmed demonstrators and wounded over 40 others. One of the demonstrators at the time, Ebtisam Abu Al-Koumsan, spoke about the protest. Palestinians living in the Gaza Strip continue to demonstrate even though they know they put their lives at risk because life in the "cage" that is Gaza is intolerable, says Ali Abunimah of The Electronic Intifada. “Corruption can no longer be understood as merely the iniquitous doings of individuals. Rather, it is the operating system of sophisticated networks that cross sectoral and national boundaries in their drive to maximize returns for their members. Honduras is a prime example of such intertwined, or ‘integrated,’ transnational kleptocratic networks” (When Corruption is the Operating System, Sarah Chayes, 2017). 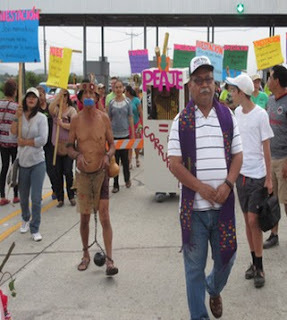 Padre Melo is a Honduran Jesuit priest, not quite 60 years old, who lives with death threats and is surrounded by death. Born Ismael Moreno into a poor peasant family, his encounter with death came early when he discovered the body of his father, the president of a farmer’s co-operative, who was assassinated because he opposed a takeover of farmer’s land by wealthy foreigners. Such an experience in Honduras is the daily bread of life for the poor, in the second poorest country of the Americas. More correctly, Honduras ought to be described not as poor, but impoverished, that is, made poor by others. It too was “discovered” by the Spanish, who subjugated the residents with the sword and the cross. Padre Melo is considered to be the most influential Catholic leader in Honduras identified with the struggle and the interests of the poor. In a country like Honduras, where “corruption is the operating system,” a priest like Padre Melo is a threat to the traditional order, and lives under the constant threat of assassination. The indigenous peoples subjected to genocidal brutality were replaced by African slaves to work the plantations of the European colonizers. The original purpose of the colonies was to enrich the coffers of the European royalty, but, with independence, the shift only benefited the white descendants of the new landed oligarchy. In the late 19th century Honduras came under the dominion of the new American empire through the interests of two businesses: the United and Standard Fruit companies. Honduras became the original, quintessential “Banana Republic.” The United States defended the economic interests of its business interests by controlling the judiciary, the military and the government of Honduras. Honduras has a long history of dictatorships, some more brutal than others. 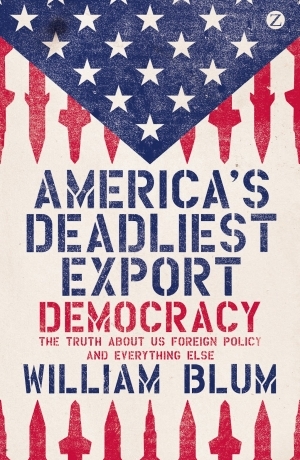 Sham elections were permitted to satisfy the needs of national pride and U.S., laws, but in a few instances, when the election brought in the wrong candidate, Americans sent in their troops to set things right. The church in Honduras has for the most part been a colonial church, focused on the requirements of European Catholicism and bound to agreements between the Vatican and national governments. Bishops, to be appointed, needed approval of the civil government (precisely the old oligarchy). In return the church received certain benefits and protections. Thus in the 20th and 21st centuries, the church in Honduras still has a dominance of foreign clergy, including among the bishops. In 1975 Fathers Ivan Betancourt (right) and Jerome Cypher were tortured and then executed along with 12 other leaders from poor farmer communities who called for land reform. Penny Lernoux in “Cry of the People,” her study of the persecution of the church in the late 20th century, said that the brutality of the Olancho Massacre was the worst she documented. 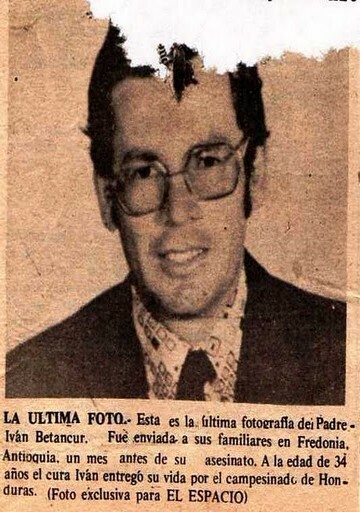 In 1983 the American Jesuit priest, James Carney, known as “Padre Guadalupe,” was captured by a Honduran death squad working with American troops. Padre Guadalupe became radically committed to working for the very poor and was considered to be an enemy by the U.S. banana corporations. After torture, according to testimony by a member of the elite death squad, Padre Guadalupe was thrown alive from a helicopter, along with others, over the jungle of the Patuca River. Padre Melo is considered to be the most influential Catholic leader in Honduras identified with the struggle and the interests of the poor. He is in the minority but is not the only one inspired by the changes in the church and the witness of the martyrs. Among these are the more well-known bishops such as Angelelli of Argentina, Gerardi of Guatemala, and Romero of El Salvador. There are the many priests, like Ivan and Jerome, Vicente Hondarza of Peru, Rutilo Grande of El Salvador, Carlos Mugica of Argentina, Camilo Torres of Columbia, and so many more from most countries. There are the sisters who have been murdered — Ita Ford and companions in El Salvador, and Dorothy Stang in Brazil. And lay people, not hundreds but thousands: catechists, teachers, nurses, community leaders, activists and human rights defenders and today especially environmental defenders who add to a martyrology that rivals the Age of Martyrs of the early church. What these modern-day martyrs all have in common that is different than the early church is that they have been murdered by persons and groups who call themselves Christians or “muy Catolicos” (very Catholic) defending the old order of privilege and power. These very “Christian” assassins have had the support of some official leaders in the church and the new evangelical organizations. According to Honduran government documents, the Cardinal Archbishop of Tegucigalpa in Honduras and the head of the Evangelical Union each receive a generous annual stipend worth more than US$4 million from the office of the president. It is not a surprise that both religious leaders supported the coup d’état of 2009 and continue to support the dictatorship. On Feb. 2 of each year the military leadership gathers at the Basilica of Suyapa, the Honduran Marian shrine, to pay their respect and receive their recognition as defenders of the nation. The families of the oligarchy, many of them deeply embedded with the drug cartels, also show their gratitude for the support of the traditional religious leadership. As reported by The Tablet on Jan 2, 2018, the Vatican has ordered an investigation into the financial affairs of the Honduran Cardinal Rodriguez. A priest does not end up on a military hit list because he has had too many first communions in the parish. Particularly since Vatican II, and especially in Latin America after the Conferences of Medellin and Puebla, the “church” has been more conscious of its social function in society. The church recognizes the divine in the life of the people, not just in religious liturgies. John XXIII called for an attentiveness to “the signs of the times” while the poor became evangelizing agents more than the objects of pity and charity. Church people were called to “a preferential option for the poor” which, surprisingly, seemed to parallel the way Jesus reached out to the poor. “Go sell what you have and give it to the poor,” he said. But still many in the church continue to go away sad. Many of the clergy, foreign and national born, have experienced a profound conversion when they listened to the “cry of the people.” Until the mid-20th century most religious orders and congregations preferentially served the rich and the powerful. When they entered into this conversion experience to work among the poor from the perspective of the needs and suffering of the poor, the privileged classes felt betrayed and abandoned. Padre Melo recently has spoken about the process used by the power elites to bring the clergy back into their sphere of influence. First they offer gifts and financial support. If, however, they cannot buy you, they then look for ways to discredit or smear your reputation. You might even be called a communist, which is more than name calling, for it recalls the campaigns to “Be a patriot and kill a priest.” If that does not at least persuade the clergy to pull back or soften their tone, the third phase would lead to accusations and criminalization. 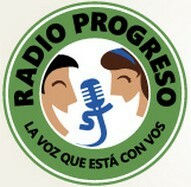 Radio Progreso and the human rights Institute called E.R.I.C. (Teams for Research, Investigation and Communication), which are Jesuit apostolates and directed by Padre Melo, have been a constant irritation to the dictatorship and the oligarchy and have even attracted the attention of the American State department. In November in the run-up to the fraudulent national elections, one tower of the radio station was toppled by the military so the people of the capital city could not receive messages contrary to the official government propaganda broadcast by state and private stations. Two hit lists were published and distributed accusing Padre Melo of connections to organized crime and embarrassing the nation with his criticisms. Other members of his team have also received death threats, most recently in February 2018. One of his radio managers was killed in 2014. Since 2001 a total of 66 journalists have been assassinated in Honduras, with only six of these cases being investigated by the police. In one year between November 2015 and October 2016 a total of 27 human rights and environmental defenders were assassinated. Since 2010 more than 120 lawyers have been assassinated in Honduras. Padre Melo has survived previous assassination attempts by professional killers. His own personal history did not require a conversion, but rather a commitment to be true to his roots and his people. He stands with the poor farming communities threatened with expropriation by agribusiness that want more land to produce palm oil. He goes into the prisons to defend political prisoners, and sometimes just prisoners too poor to defend themselves. He has stood in front of military lines threatening to kill peasant communities who resist the loss of their lands and rivers to foreign and national financial interests. He has testified in Washington about human rights abuses and has spoken in different international forums about the dismal human rights situation in Honduras. He has gone into hiding to accompany communities in Guatemala that were hunted by the military during the genocide period. 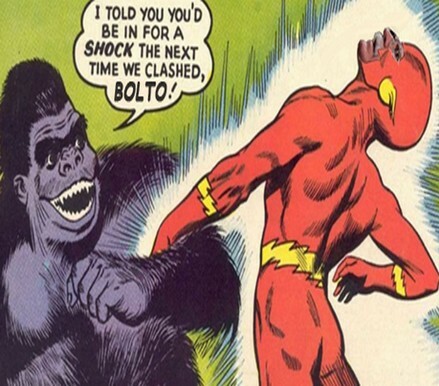 He is not fearless, nor does he seek to be provocative. He is clear about from where he comes. His deep almost mystical faith calls him to be present to those who suffer and are oppressed. Like the preacher from Galilee, he is known to associate with the poor and those feared by the State: human rights defenders, environmentalists, lawyers (well some of them anyway! ), indigenous communities, and women activists. His influence as a religious leader is also resented by the temple priests and Pharisees. Father Ismael Moreno, SJ, known as Padre Melo, understands his situation very well. He is a Jesuit doing the work of the Jesuits of Central America who have made a commitment to working with the poor. His work is reflective of that of Jesus: “to tell the good news to the poor, to announce release to the prisoners and recovery of sight to the blind, to set oppressed people free” (Lk 4:18). Phil Little is a retired teacher living on Vancouver Island. Born in Alberta, he went to university in Ottawa. As a member of the Oblate congregation he went to Peru as a missionary from 1972 to 1980. Returning to Canada he married and taught in the Toronto Catholic school system for 26 years until retirement. 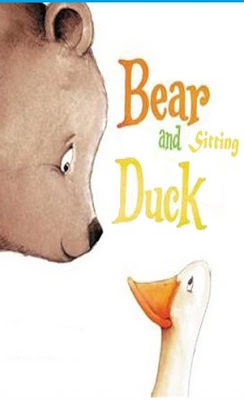 Bear Meets Duck: What Does the End of Anglo-American Axis Air Superiority Mean? US President Donald Trump didn’t mean to start a revolution. President Putin tried persuading him not to. But on April 14 the revolution was launched by American warplanes, surface ships and a submarine. The outcome is, the US can no longer count on air superiority anywhere in the world where Russian air defences operate, backed by Russian command-and-control systems. Sans air superiority, the US has no force-multiplier on the ground of the magnitude required for Pentagon attacks; that is, the ratio of men and firepower it calculates for making sure enemies on the ground can be defeated. This is revolutionary, and has spread instantly to every war front - Russian lines with NATO; the Korea-Japan front; Taiwan Straits and South China Sea for China; and Indian Ocean for India and Pakistan. The treaties which promise US allies that an attack on them will draw US military support for their collective defence – Article 5 of the North Atlantic Treaty (NATO), Article 4 of the Australia New Zealand US Treaty (ANZUS), Article 3 of the Inter-American Treaty of Reciprocal Assistance (Rio), and the Japan, Philippines, South Korea, Taiwan, Pakistan and Israel defence treaties – are dead letters. So long, shock and awe – that was the American warfighting doctrine against people who lack Russian-standard defences. The official Pentagon version of the April 14 attack on Syria, led by Marine Corps Lieutenant General Kenneth McKenzie, can be read here. 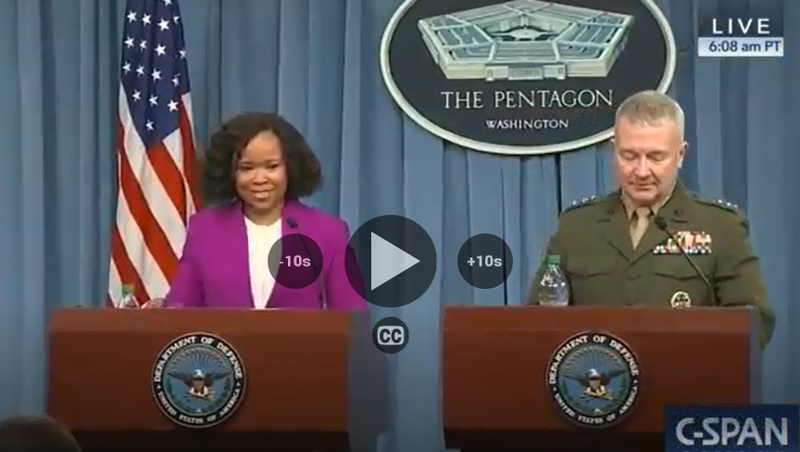 The video presentation of what the junior Pentagon spokesman called “Happy Saturday”, with target pictures and maps, can be watched by clicking to open here. The Russian Defence Ministry has given two briefings, the first on April 14 by the General Staff spokesman, Lieutenant General Sergei Grudskoy (pictured below, left); follow the text and visuals here. The second briefing was given on April 16 by the Defence Ministry spokesman, Major General Igor Konashenkov (right). Click to open. Since so much is at stake for future military strategy in the assessment of the April 14 attack, and in the coordination between the forces on both sides, the discrepancies between the official accounts are very large. They are exaggerated in media reporting from all sides; the truth will take more time to become clearer. Russia says there were 8 targets, the majority of them Syrian air force bases. The US says there were 3 targets, all chemical warfare sites. Russia says there were 103 incoming missiles, fired by aircraft, ship and submarine; the US says 85.The difference appears to be accounted for by the UK and France, which are reported as firing 18 or 19 air to ground missiles. Russia says 112 ground-to-air missiles were fired at the incoming weapons — Buk, Osa, Strela, Pantsir, Kvadrat, S-125, S-200 – and the interception rate for each reported by Konashenkov. The overall kill rate was 69%; the US says it was zero. Russian military sources say the US did not use jamming and electronic suppression (ECM) against the Syrian air defence systems; the Pentagon says ECM aircraft were deployed on both the eastern (Mediterranean) and western (Arabian Gulf, Red Sea) attack fronts. This was repeated by the Israeli media. 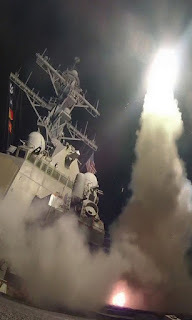 Russian sources add that the ECM systems of the US naval vessels engaged in the operation were too far out of range of the Syrian defences to be useful. If the interception rate was 69%, as Russia claims, this is one of the greatest air-defence victories against missile attacks ever recorded. If three targets were destroyed with 100% accuracy, with no release of chemical weapons stocks, no casualties, and no collateral damage, this was the largest firepower-to-destruction ratio ever launched by the US military. The unresolved uncertainties, as well as the calculated probabilities, add up to the same thing to Russian military analysts. “A strange umbrella” (Чужой зонтик) Ilya Kramnik, military analyst for Izvestia, titled his report. 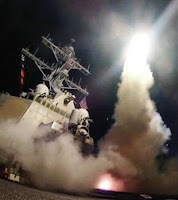 The US avoided every target defended by Russia, and succeeded against targets which were not defended by the Pantsir and other missile systems delivered to Syria in recent weeks. The range of detection, speed of coordination, and effectiveness of fire control between the Russian military and their Syrian counterparts have never been achieved at this level of operation before. At the Defence Ministry Konashenkov acknowledged that the S-200 system launched 8 missiles at the attackers, and none was hit. This, Russian sources and the Defence Ministry explain, is because the S-200 was designed to combat aircraft, not missiles. The Syrian S-125, according to Konashenkov, was more successful, firing 13 missiles and intercepting 5. This was achieved, Russian sources say, because the Syrian S-125 has been upgraded by Belarus specialists. 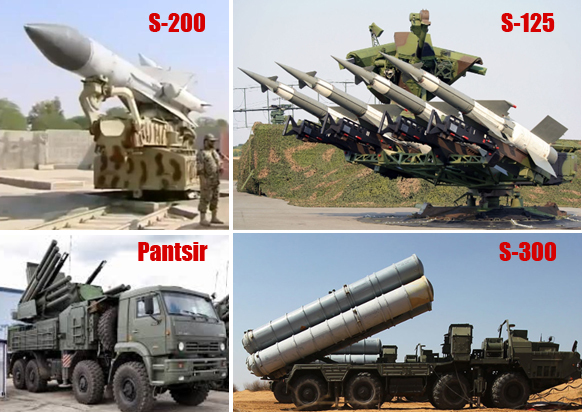 The S-300, which Iran and Greece operate, and the S-400, which guards the Russian naval and air bases in Syria and which Turkey is acquiring, are capable of striking both aircraft and missiles. This is the game-changer for Syrian defence against Israel if the S-300 is delivered, as the Russian Defence Ministry is now proposing. 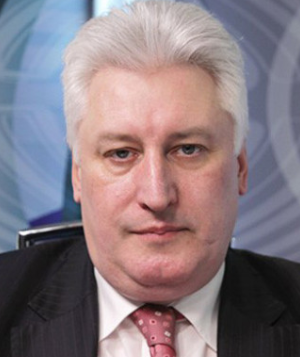 Igor Korotchenko, editor of National Defence Magazine in Moscow, believes the April 14 outcome is confirmation of the effectiveness of Russian defence against the most advanced weapons in the American armoury. In short, it is the Russian assessment that the Americans launched an armada which was blown off course by a Russian wind. But Korotchenko (right) warns that the lesson the Americans will draw is a doctrine of surprise and swarm. Swarm means the multiplication of attack forces from every direction at once in such weapons numbers as will penetrate even the densest defensive screen. It is the opposite of precision or smart, as US officials like to describe their targeting. Russian analysts judge that while swarm is likely to be the American tactic, surprise is contradicted because the larger the swarm, the longer the time required to prepare it, and the more visible the preparations become in advance. This, according to the Defence Ministry and repeated speeches by President Vladimir Putin, is the Russian interpretation for US pre-positioning of missile batteries in Poland and Romania, on US Navy vessels in the Black Sea, as well as ground weapons in the Baltic states. For Putin’s “cross-hairs” warning, read this. While the tactical results of the April 14 attack continue to be debated with fresh evidence, the US operation has removed strategic uncertainty for Russia’s military leadership in its debate with Putin. The General Staff are convinced the US is at war with Russia on all fronts, and readying to attack with military force. Consequently, Russia must prepare to defend to the point where the US will lose the advantage of both surprise and swarm – and lose its own forces as well. Such a defence requires the Russian doctrine of red-line surprise so that, once crossed, the US cannot be confident it can defeat Russian defences, nor confident the US can defend itself against the launch of the newest Russian weapons. War by miscalculation between US and Russian forces is therefore much closer now.